Well, this shouldn’t be a big surprise to many Hunter X Hunter is going on Hiatus. The newest chapter of Hunter X Hunter revealed that next chapter will be the last chapter before the series goes back on hiatus. It was bound to happen sooner or later we all were expecting it and making jokes about it. Now it’s actually happening we are back to painful wait. He says he will be back as soon as possible. But can we really believe that considering his history of hiatus. So we can’t really believe him in this statement. So we got to figure out our self when exactly we think it might return. Let us look at Togashi history of hiatus. So the question is how long will we be waiting for the next chapter. If we judge this from the hiatus chart, The author is following the same pattern for the last 3 years. He releases 9 to 11 chapters a year. Then goes back on hiatus for the rest of the year and then comes back. The next year. To Draw another 9 to 11 chapters. Before putting the series back on hiatus. So we can assume judging from this pattern he has had throughout the last 3 years. The series might not come back this year despite the author saying, ” I will do my best to come back as soon as possible’. All Though this is just me assuming things. I could be wrong and maybe he does return by the end of the year at least. On another note, before the series went on hiatus a brand-new volume for the series was released. Volume 35 will be released soon. Oddly enough the cover art for Volume 35 is the color page for chapter 361. 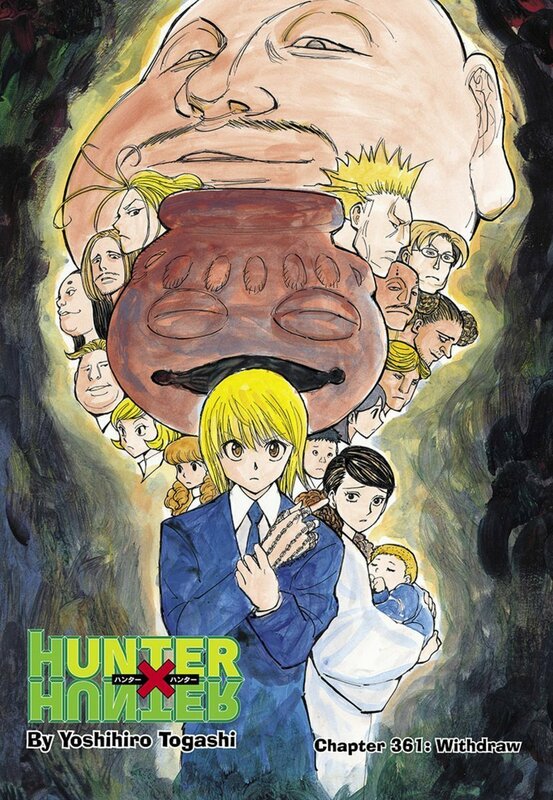 I guess Togashi didn’t feel like drawing new cover art. Then again I don’t mind if it’s recycled it’s a cool cover.